A deeper dive into the day's most notable stories with The National's Jonathon Gatehouse. Welcome to The National Today, which takes a closer look at what's happening around some of the day's most notable stories. Sign up here and it will be delivered directly to your inbox Monday to Friday. Cape Town's four million residents are in danger of running out water. An ongoing drought, the culmination of three years of below-average rainfall, have put the municipal water supply under severe strain. Reservoirs have dropped below 30 per cent capacity. 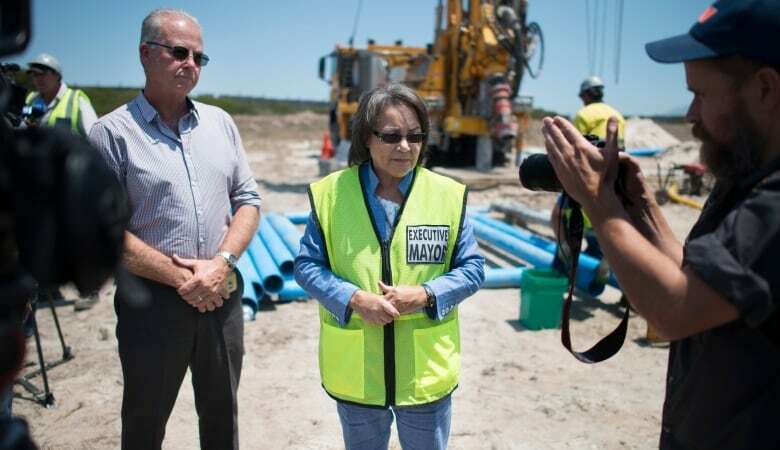 Cape Town City Mayor Patricia de Lille (centre) talks to media on Jan. 11 at a site in Mitchells Plain, about 25 kilometres from the city centre, where the council has ordered drilling into an aquifer to tap water. (Rodger Bosch/AFP/Getty Images)A limit of 87 litres per day introduced in December has been ignored by more than 60 per cent of the population. Today mayor Patricia de Lille declared the city is nearing the "point of no return." "We can no longer ask people to stop wasting water. We must force them," she told reporters. Starting Feb. 1, the coastal city's inhabitants will be put on a strict ration: 50 litres of water per day per person. There is a complete ban on watering lawns and gardens, filling pools or washing cars, and people are being told to shower rather than bathe, and keep it quick — under two minutes. People queue up to collect drinking water from taps that are fed by a spring in Newlands on May 15, 2017, in Cape Town. 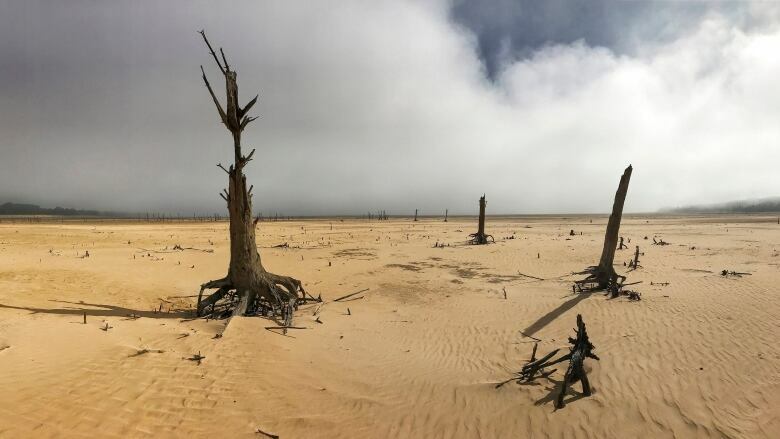 South Africa's Western Cape region declared a drought disaster on May 22 as the province battled its worst water shortages for 113 years. (Rodger Bosch/AFP/Getty Images)The mayor holds a hammer: If reservoir levels drop below 13.5 per cent capacity, she is vowing to turn off the taps altogether. That will force people to come to one of 200 municipal sites to collect a maximum daily ration of 25 litres. At the current rate of water usage, "Zero Day," as it is being called, will arrive April 21. Cape Town would earn the dubious distinction of becoming the first major world city to run dry. Residential customersremain the biggest problem. The city has been begging them to change their habits for months, to little avail. 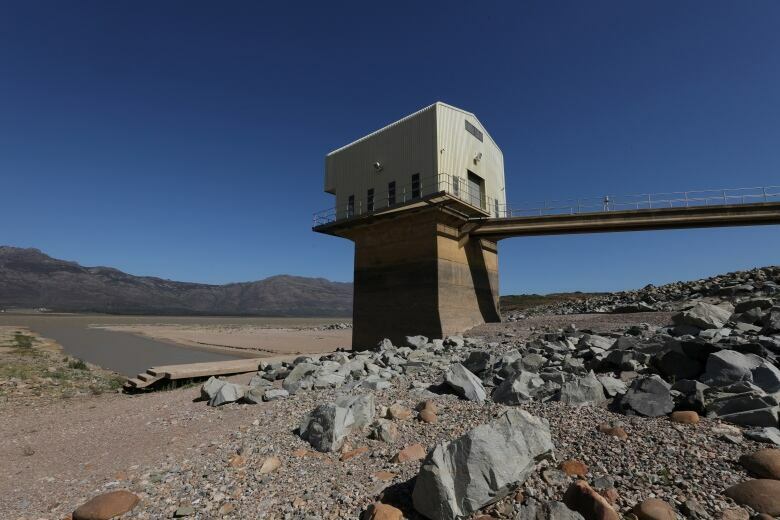 The amount of water in Voelvlei Dam near Cape Town, one of the region's largest water catchments, is nearing a critical level. (Mike Hutchings/Reuters)Water management devices have already been installed at the homes of more than 30,000 of the biggest offenders. And now the city has released a satellite map that allows everyone to identify who is — or isn't — complying in their neighbourhood. Cape Town denies that it's trying to "name and shame," but the available information includes every property's individual water usage and street address. And such hardball water management tactics might be the way of the future. A sign warning residents of water restrictions is seen in Cape Town in October. The mayor says people have largely ignored the restrictions and she is now vowing to get tough. (Mike Hutchings/Reuters)A 2015 California study, published in the Journal of Environmental Psychology, found that the traditional "knowledge deficit" approach taken by municipalities is in fact the least effective, with households that received water saving tips actually ending up using more of it. That same year, a UN report predicted that the world could face a 40 per cent shortfall in fresh water as soon as 2030, due to the effects of climate change, population growth and agricultural and industrial activities. Among the cities already at risk: Tokyo, Cairo, Miami and rainy London. Cape Town may simply be the early warning. Internet giant Amazon has unveiled its lengthy "shortlist" of potential sites for a new corporate headquarters. The $5 billion US construction project, which the company promises will bring 50,000 "high-paying" jobs to the winning community, attracted bids from 238 cities across North America. CEO Jeff Bezos and his company are looking for communities to offer big incentives. 'A stable and business-friendly environment and tax structure will be high-priority considerations for the Project,' the RFP says. (Ted S. Warren/Associated Press)Just 20 communities have made it to the second round, including Toronto, the sole remaining Canadian supplicant. "We are excited to have this opportunity and to be able to tell Toronto's unique story," Mayor John Tory said in a statement. "There is no other city region in North America that can boast the same talent, the same quality of life, the same vibrancy and economic strength." Vancouver, Calgary, Edmonton, Winnipeg, Montreal, Halifax and five Ontario communities all failed to advance, but they are not alone. No Mexican cities will be considered in the second phase. And Amazon's list appears heavily weighted to the major American metropoles: Boston, New York, Chicago, Los Angeles, Miami, Atlanta, Dallas, Philadelphia and Washington. Toronto is the only Canadian city to make the shortlist of 20 communities vying for the new Amazon HQ. (Christopher Katsarov/Canadian Press)Indianapolis and Columbus are what might politely be referred to as outliers. Austin remains in the running. By some estimations the Texas capital is actually a dark horse favourite, because it's already home to the HQ of Amazon-owned Whole Foods. A population of over a million. A community with the potential to attract and retain talent. A location within 45 minutes of aninternational airport. A site with direct access to mass transit that's also near a major highway. But Amazon's main demands are money — and lots of it. "A stable and business-friendly environment and tax structure will be high-priority considerations for the Project," read the RFP. "Incentives offered by the state/province and local communities to offset initial capital outlay and ongoing operational costs will be significant factors in the decision-making process." One city in Canada, 19 in the U.S. and none in Mexico made the Amazon HQ shortlist. (CBC)Amazon even provided a helpful list of the kind of breaks it is looking for, including free land and site preparation, tax credits and exemptions, relocation grants, workforce grants, utility incentives or grants, and permitting- and fee-reductions. A number of jurisdictions took the hint. New Jersey Gov. Chris Christie dangled $7 billion in potential tax credits if Amazon choose the Garden State (Newark made the shortlist). California introduced a bill offering a $1 billion tax reduction over the next decade (Los Angeles remains in the running). The Atlanta suburb of Stonecrest offered to donate part of its land to create a city called Amazon and declare CEO Jeff Bezos "mayor for life" (it remains in the hunt). 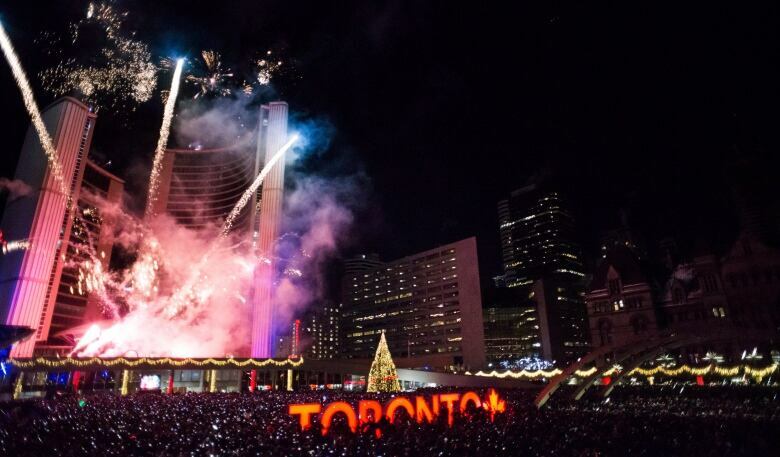 The Toronto bid, on the other hand, did not include tax breaks. The region has provided a choice of sites, including some harbour lands near the downtown and a plot adjacent to a Mississauga shopping mall. The new Amazon headquarters is billed as a $5 billion US project that will bring high-paying jobs to the winning community. (David Ryder/Getty Images)With Bezos having recently been declared the world's richest man —this day-by-day ranking places his net worth at $109 billion, $16 billion more than second-place Bill Gates — some might argue that the incentives are hardly needed. Then there's this recent report by the non-profit Policy Matters Ohio, which found that 1,430 Amazon workers or their family members in the state were on food stamps last August. The company employs 6,000 people in Ohio at call centres, wind farms, supermarkets and two large warehouses near Columbus. The company's final decision on its new HQ is expected later this year. 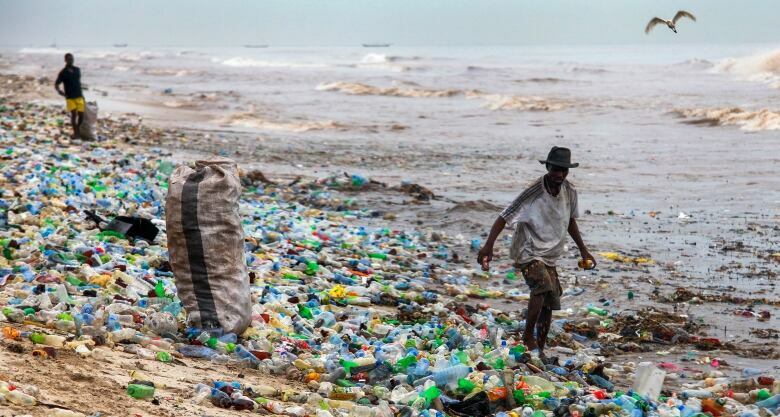 Plastics are not the future. China's decision to stop accepting plastic waste from abroad for recycling is having a knock-on effect all over the world, forcing governments to confront waste issues. This week, the European Union "declared war" on plastics — albeit in a very quiet way, telling a few newspapers about a proposed plan that might tax "damaging behaviour" and saying it will invest 350 million euros in research. The goal, however, is clear: Make sure that all packaging on the continent is reused or recycled by 2030, starting with coffee cups, lids and takeout boxes. 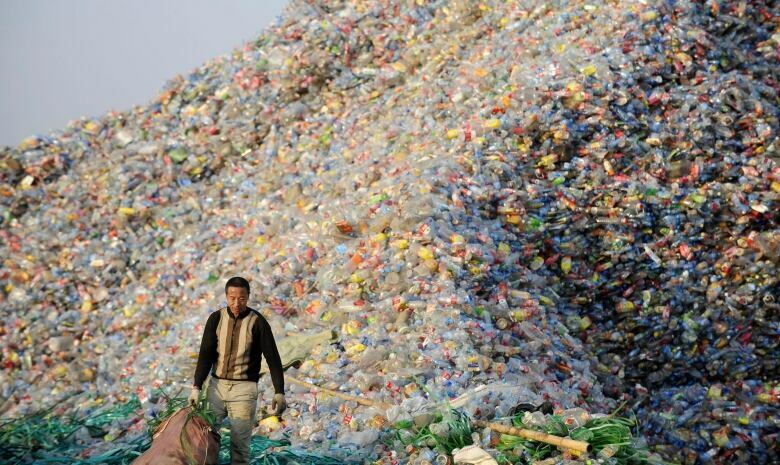 A Chinese labourer sorts plastic bottles for recycling on the outskirt of Beijing. China, a major destination for the world's recyclables, has decided to stop accepting shipments of unsorted plastic waste. (Fred Dufour/AFP/Getty Images)The move follows a new 25-year Green Plan announced by Britain's Conservative government that will create more wildlife habitat, extend a plastic bag ban to the country's small retailers, and encourage supermarkets to introduce plastic-free shopping aisles. The Tories' aim is to eliminate all "avoidable" waste by 2042. A new investigation by the Guardian newspaper found that the U.K.'s grocery chains account for 800,000 tonnes of plastic each year. That's more than half of the 1.5 million tonnes annually thrown away by households. Supermarkets receive a lot of the heat about plastic use because so much of their packaging appears to be excessive. Ghanaians collect trash at Korle Gono beach, much of which is recyclable plastic that washed ashore from the capital Accra. (Chrsistian Thompson/EPA)It wasn't always that way, of course. Before the advent of the modern grocery store in the 1950s and '60s, most items came in reusable metal or glass containers, or had no wrapping at all. It was the self-serve revolution that changed all that — spurred on by various self-interested parties like DuPont, the maker of cellophane. Plastics were easier to transport, shelve and display, and far less likely to shatter and require a clean-up in aisle 5. And in some cases, there is a "green" argument to be made for their continued use. In their 2012 book Why Shrink-Wrap a Cucumber: A Complete Guide to Environmental Packaging, authors Stephen Aldridge and Laurel Miller laid out the reasons why it's better to wrap up their titular vegetable; the packaging slows evaporation and keeps the cuke fresher. Which means less food waste, and in turn reduces the demand for growing a replacement, a process that uses water, fertilizer, pesticides, and greenhouse-gas-producing trucks for transport. On Jan. 1, Montreal became the first major Canadian city to institute a full ban on their use by retailers, including the supposedly biodegradable type. Toronto city councilvoted for such a ban back in 2012, during the height of the Rob Ford era, but it was eventually overturned due to fears of a legal challenge. 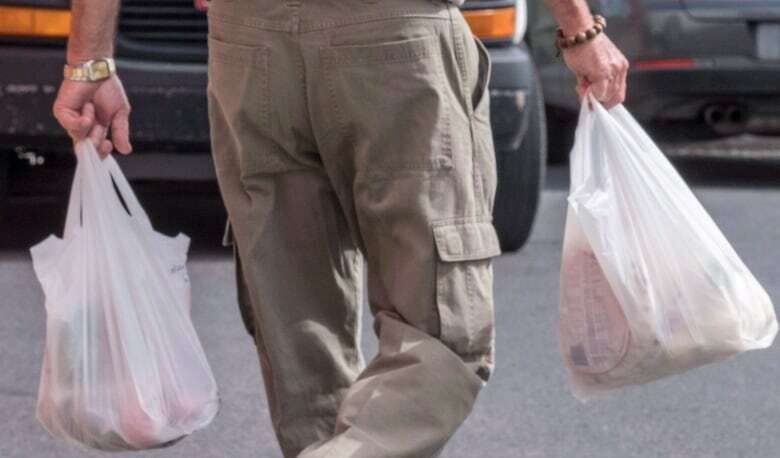 Earlier this week, Halifax council rejected a proposal to outlaw single-use plastic bags, on the grounds that people use them to put out their recycling, or clean up after their dogs. Halifax's decision was rendered all the more curious by the disclosure that the city had just sent 300 tonnes of plastic to an out-of-province dump. That move was made to get around the effects of the Chinese change in recycling policy, and a provincial law that makes it illegal to put recyclables in a landfill. 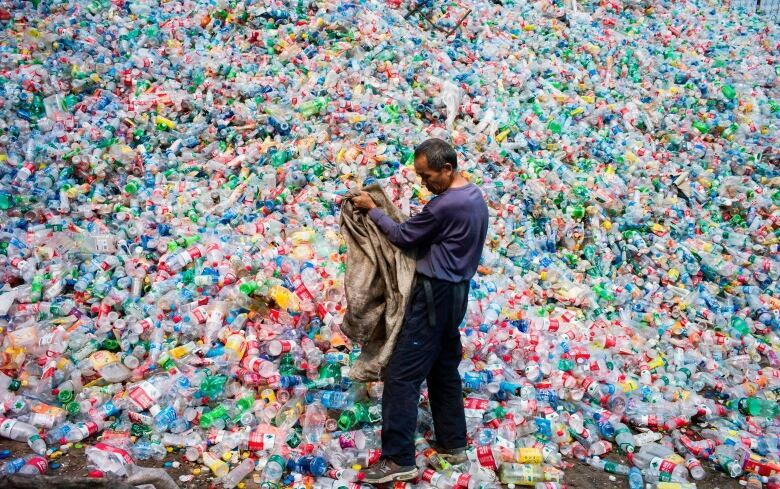 A labourer sorts plastic bottles at a recycling centre in Wuhan, China. As a result of China's decision to accept fewer recycling shipments from abroad, countries are re-evaluating their waste policies and trying to find other ways to deal with their cast-off plastic. (Reuters)Plastic bags don't take up much space and they comprise just two per cent of what's in landfills, according to one study. But evidence suggests the municipal measures work. Toronto's former 6-cent-a-bag tax resulted in a 53 per cent drop in plastic bag use between 2008 and 2012, and Loblaws alone said it had diverted 5 million bags from the dump. There's a reason why grocers are more willing to do away the plastic sacks at the checkout than the wrap in their aisles. The free-to-the-consumer bags cost good money. This article on Australia's proposed national bag ban calculates that the net savings to the country's two biggest supermarket chains will be $1 million a year. 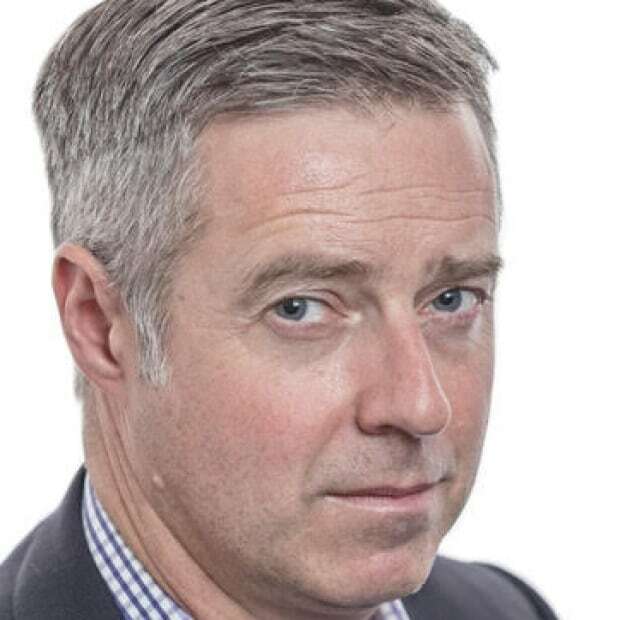 A big windfall in a notoriously small-margin business. "With the United States led by a president who displays a disturbing fondness for rights-trampling strongmen, and the United Kingdom preoccupied by Brexit, two traditional if flawed defenders of human rights globally are often missing in action." - Human Rights Watch executive director Kenneth Roth on the group's annual world review. The surge in populism has made many Western powers more inward looking, he says, leaving an increasingly fragmented globe. More than 1,200 Canadians enlisted in the Mackenzie-Papineau Battalion to fight Franco and his Nazi allies in Spain. The government of the day reacted by threatening them with fines and jail. Forty years later, two participants lay out the case that the first Canadians to fight the fascists should be treated the same way as all the other WWII veterans. Sign up here and have The National Today delivered directly to your inbox Monday to Friday.